Once again the lovely Fabric Flavours have generously given Logan one of their Gruffalo's Child T-Shirts to test for them and as always it doesn't disappoint. 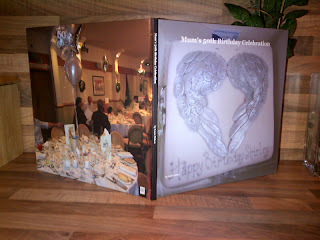 I think photo's will speak louder than words for this review so have a grander below. 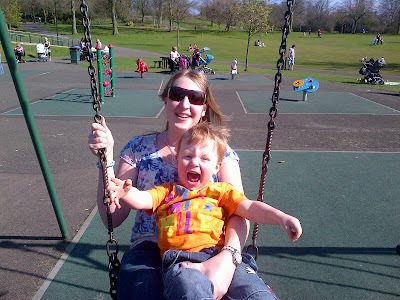 Not the best of photos but it's so hard to get Logan to stand still, he's always buzzing around and never stops! As you can see The Gruffalo's Child T-shirt is lovely, very bright and quite unusual. Lots of people have commented on it even other children who happen to like the Gruffalo which is quite cute. 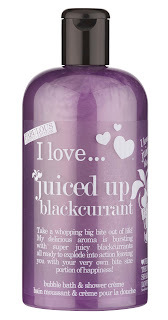 Fabric Flavours describe their t-shirt: "Come to the deep, dark, wood and see the Gruffalo’s Child learning about the Big Bad Mouse from her dad, The Gruffalo. The title of the book is embroidered on the front and contrasting 'grin' stitch is used on the sleeves and hem. There is a little surprise waiting for you! The Big Bad Mouse is hiding at the back of the t-shirt!" The t-shirt was easy washed and retained it's lovely softness although some of the colours seemed to bleed a little even though I washed it as described on the tag which is a shame however I'm sure on the next wash this will come out and all will be right as rain. You can purchase this lovely t-shirt directly from www.fabricflavours.com for RRP £18.00. It would make an excellent present for any Gruffalo mad child, boy or girl. 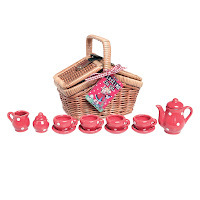 It comes in three different sizes which include; 1/2 years, 3/4 years & 5/6 years. The one Logan is wearing is 3/4 years and he's 2 years old just now but it fits perfectly with a little more room to grow. 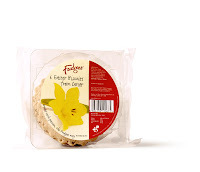 Please visit www.fabricflavours.com for more products and information. You can also see what they get up to on Facebook so why not pop over and say hello! Remember to tell them The Breastest News sent you. I'm not a massive fan of chocolate but when Guylian sent me a box of chocolates to sample last month I was quickly converted. Now, Guylian have sent me their Luxury Easter Egg to review which I must say is to die for. 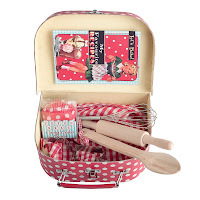 What an excellent gift it would make for any hardie chocolate lovers out there. "Guy Foubert was a passionate Belgian Chocolatier making handmade chocolate truffles in Sint-Niklaas, Belgium. In 1958, Guy and Liliane joined their names, both in marriage and in their company names creating Guylian, a small artisanal chocolate maker." 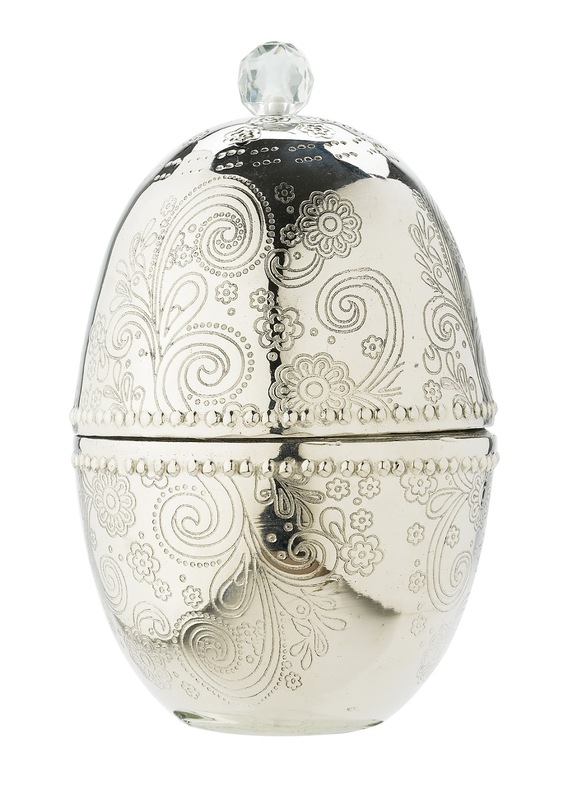 The Luxury Easter Egg comes not only with an egg (obviously) but also with a lovely box of choccies which hold 258g of chocolates. 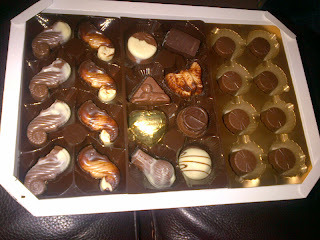 The egg was delicious milk chocolate but the luxury belgian collection box of chocolates were amazing. I only received them the other day and the other half and I have almost finished the box! The chocolates are made with 100% pure cocoa butter with the distinguishable hazelnut praline filling and the recipe hasn't changed for over 50 years which is why the sumptuous Seahorse design remains a popular favourite to this day. I really can't praise these chocolates enough. They were very delicious, melt in the mouth heavenly treats. 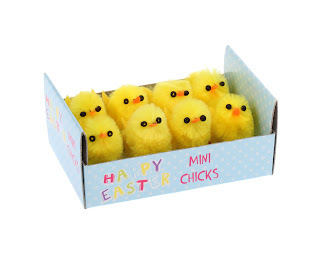 You can purchase them from most supermarkets infact I seen them in Asda just the other day so definitely in there and they retail for £10.99 although they were down to £9 so you might be able to grab yourself a bargain. When you choose Guylian chocolates you're supporting the work of Project Seahorse, a marine conservation group dedicated to protecting these magical creatures and other vital marine life around the world. Overall brilliant choccies, very luxurious as promised and I honestly can't fault them! 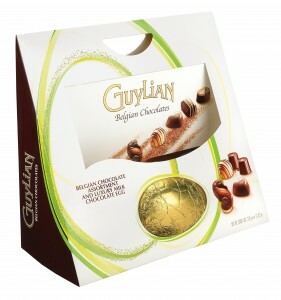 Please visit www.guylian.com for more products and information. You can also see what Guylian get up to on Facebook and Twitter so why not pop over and say hello! Remember to tell them The Breastest News sent you. I love a cuddly soft toy but one which can do more than look pretty is an added bonus so when Mookie Toys got in touch to ask if Logan would like to review their Original Pillow Pets I gladly accepted. I'll let Mookie Toys explain what a Pillow Pet is: "Pillow Pets are the new premium quality plush toy made of ultra-soft and cuddly chenille but with a clever twist. When a hidden strap is released underneath, the cuddly creature transforms from a toy into a soft pillow, making the Pillow Pet a perfect travelling pal, naptime buddy and all round snuggly friend." 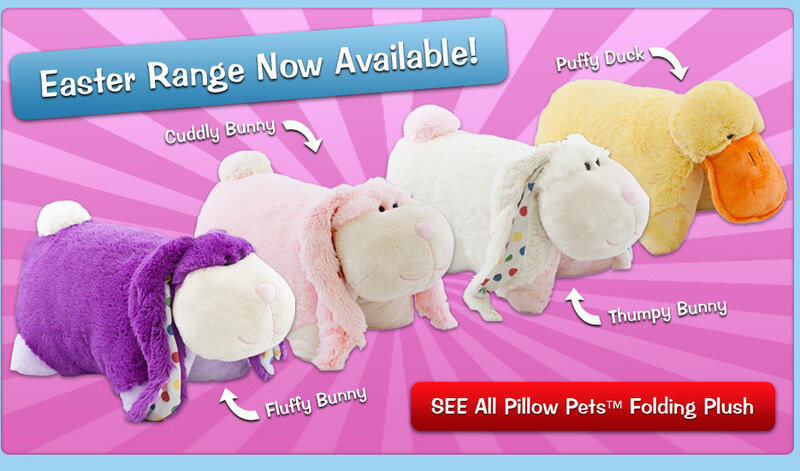 You can get the Pillow Pets in eight different designs. Logan was sent a very cheeky Billy Monkey but you can also get; Playful Penguin, Comfy Panda, Snuggly Puppy, Magical Unicorn, Wiggly Pig and not forgetting Ms Ladybug and Bumbly Bee. 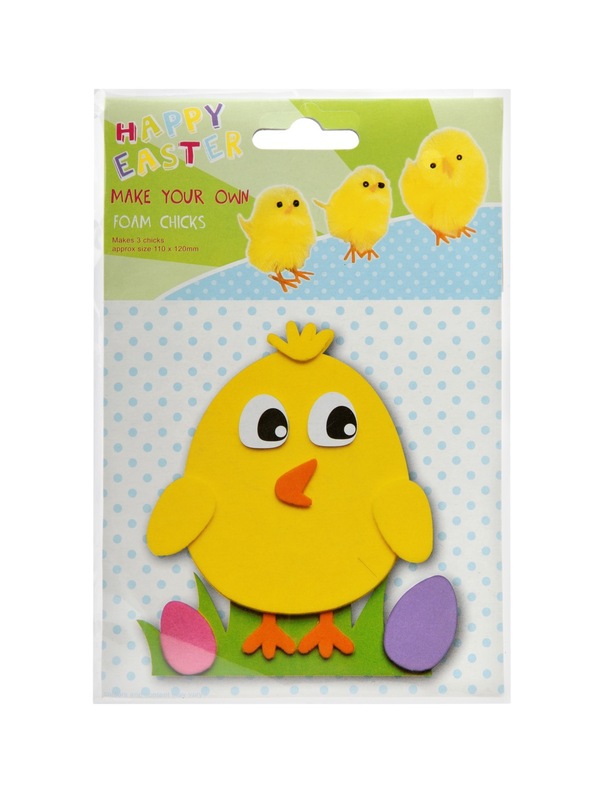 There are four new designs coming out for Easter this year which include; Cuddly Bunny, Thumpy Bunny, Puffy Duck and Fluffy Bunny. 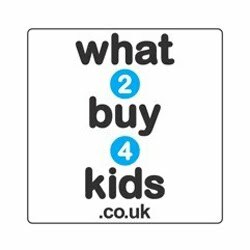 All sound very cute and if they look as good as Billy Monkey which Logan received then you're onto a winner. When I first saw the images for the Pillow Pets I thought they were going to be quite small like some of the similar toys out there on the market however when I got the package through the door and opened it I was pleasantly surprised to find that Billy Monkey is massive! It's a huge size even for an adult never mind a child so you definitely get your money's worth out of this toy. Billy Monkey is very cute and Logan had a little cuddle with him before trying to give him to our dog Lexie which was quite funny. Logan isn't really fussy for cuddly toys but when I use Billy Monkey to interact with Logan he became more interesting. The real test would come when Logan went for his afternoon nap! It's a shame to say that Logan didn't want to use Billy Monkey to sleep on which is unfortunate, he wanted him just to play with. In the interests of testing I had a snooze on Billy Monkey myself and he was very soft and comfortable, I proped him up on my sofa and snuggled down for a quick nap. I didn't get sweaty sleeping on the pillow which is good and there's more than enough room so your head doesn't slip off. Pillow Pets retail for around £16.94 and are suitable for ages 3 and upwards. 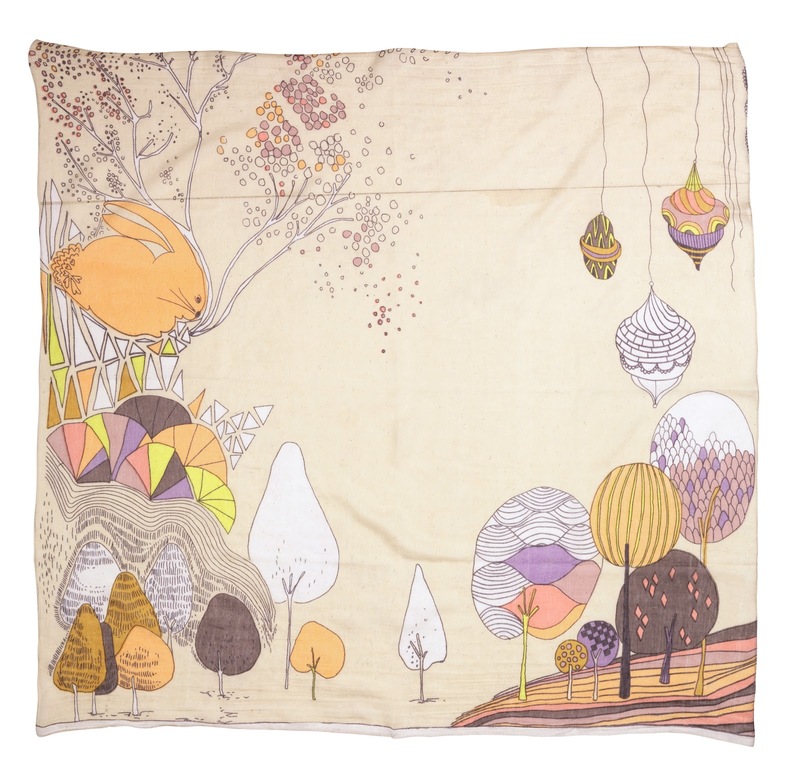 You can purchase direct from www.pillowpets.co.uk or you can find them on Amazon. Overall brilliant cuddley toys and excellent pillows. It's just a shame Logan wasn't more interested but I'll happily use Billy Monkey in future. Pricing is reasonable as these Pillow Pets are huge and they're quite robust as Logan was having a good go of throwing Billy Monkey around. Please visit www.pillowpets.co.uk for more information. You can also see what Pillow Pets get up to on Facebook so why not pop over and say hello! Remember to tell them The Breastest News sent you. 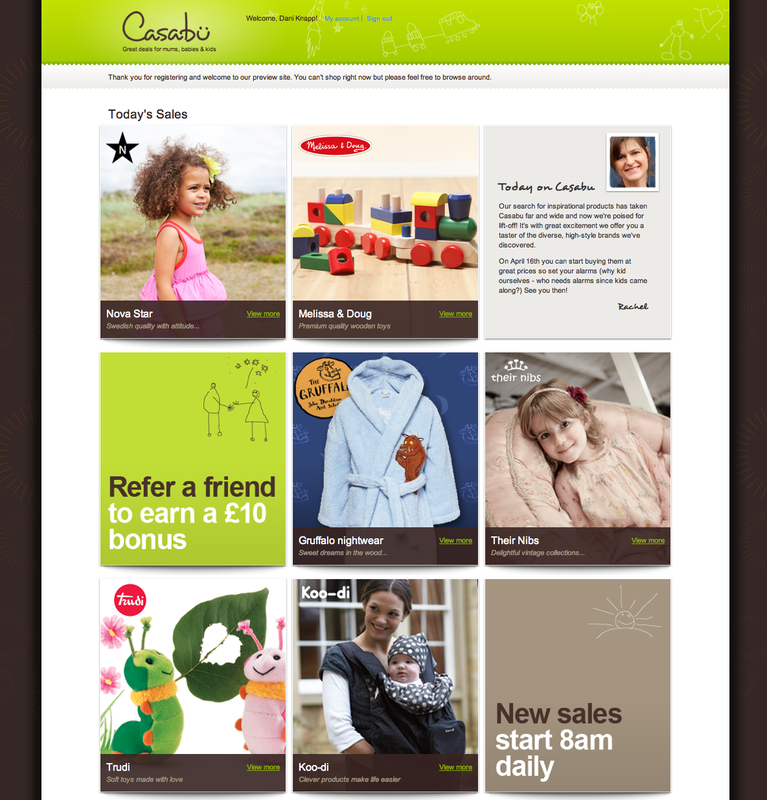 The exciting and widely anticipated launch of daily deals website Casabu, the UK’s largest daily flash-sale website for mums, babies and children, will take place in mid April and is set to change the way that UK parents shop forever! Flash sales have rapidly become the biggest trend in retail and have taken the UK by storm over the last 24 months. 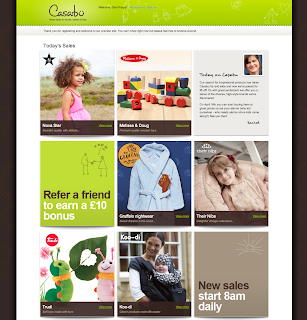 After a year of scouring the UK and Europe to seek out the highest quality and most stylish brands, Casabu will bring parents exciting ranges of fashionable baby and children’s clothing, designer toys, essential nursery equipment, must-have furniture and stylish maternity wear from brands such as Their Nibs, Babymoov and Koo-di at unbelievable savings of up to 70%. 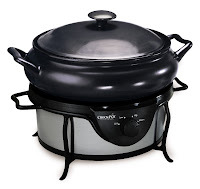 Casabu is the smart, modern way for parents to save money on some of their favourite brand names as well as discover and fall in love with new ones. 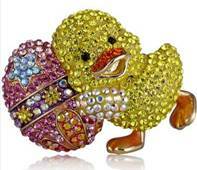 The free-to-join online private sales boutique works very simply; once signed-up, you will receive a daily email or mobile alert bringing you five exclusive sales, each sale lasting for three days. 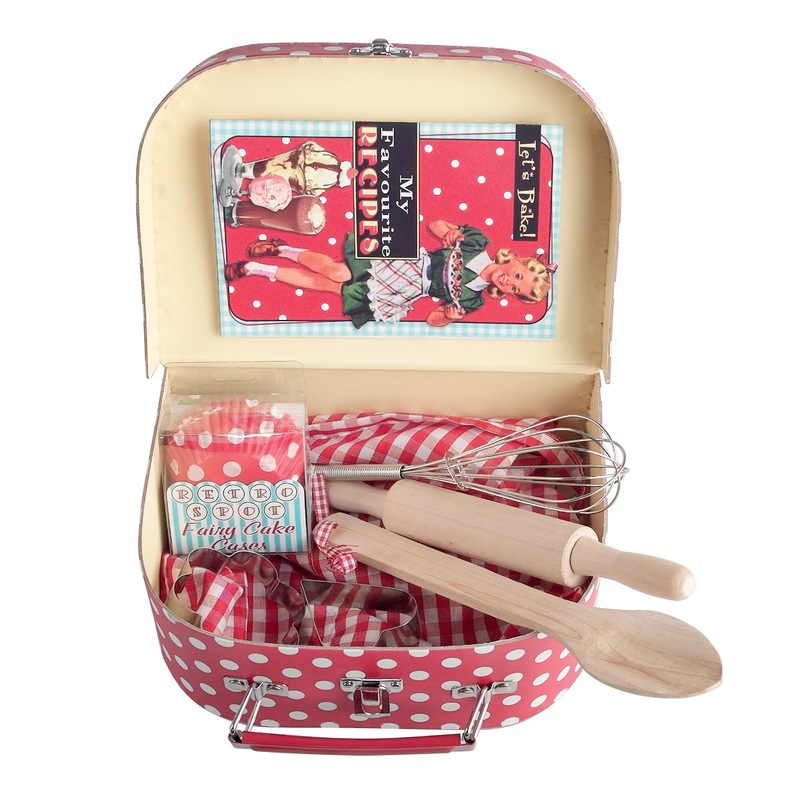 You then simply browse, buy and sit back and wait for your beautifully packaged items to arrive at your door. Casabu truly is a one-stop shop providing everything a mum needs from pregnancy, throughout childhood and up to pre-teen. To become part of the latest shopping phenomenon sign up at www.casabu.com now to have a sneak preview and find out about these amazing deals. Membership is free and if you sign up before the mid April launch you will automatically receive £10 off your first purchase over £30. Thanks to everyone who entered, it is very much appreciated. 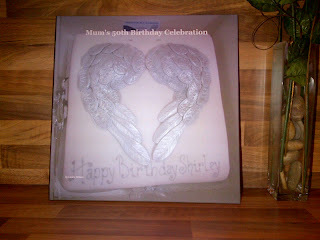 Please also take a look at the Competitions page for even more fab giveaways. Last Sunday the other half and I crawled out of bed early, dropped our dear son off with my mum for the day and headed out towards Aberfoyle. 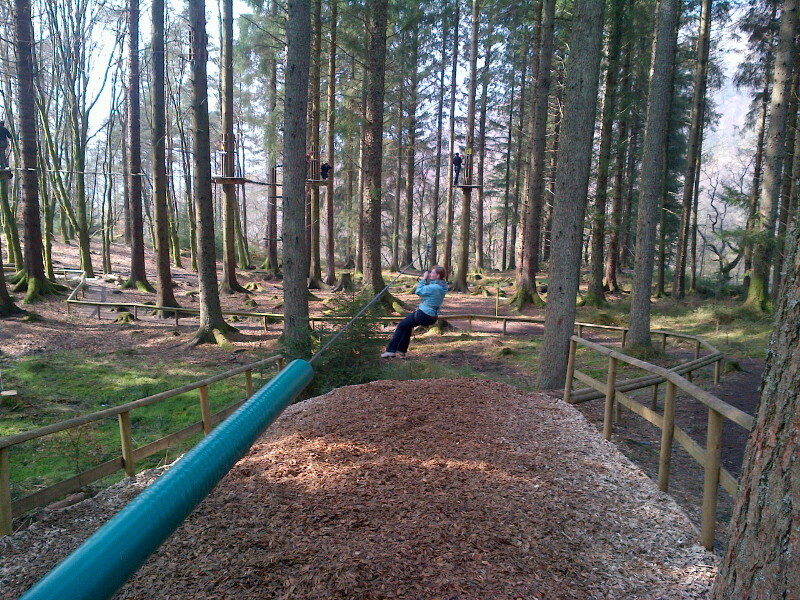 We had been invited along to try out the Go Ape Tree top Adventure site situated in the Queen Elizabeth Forest Park which is quite close to Glasgow (Loch Lomond). 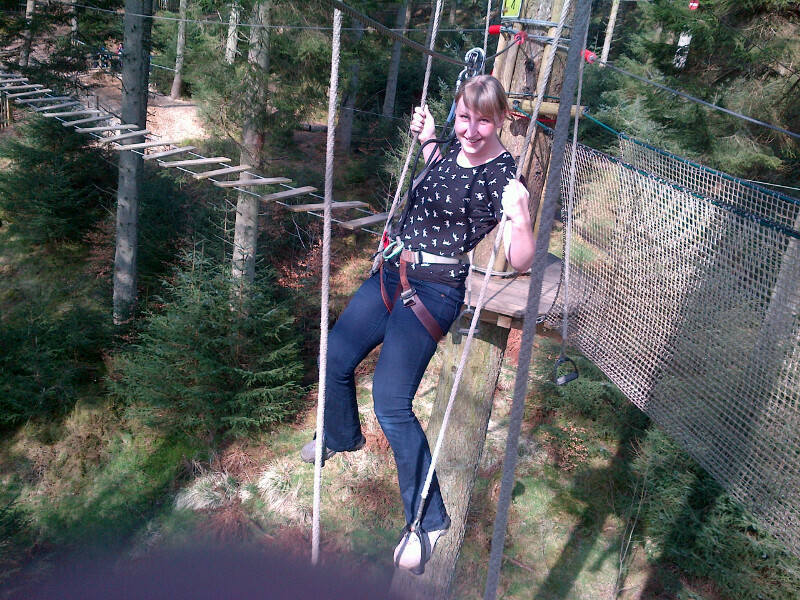 Go Ape are the UK's no.1 forest adventure company who provide breath taking experiences in the great outdoors. 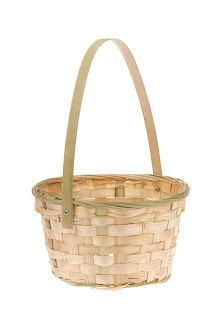 Like the name suggests you basically become a monkey for the day swinging around in the trees. 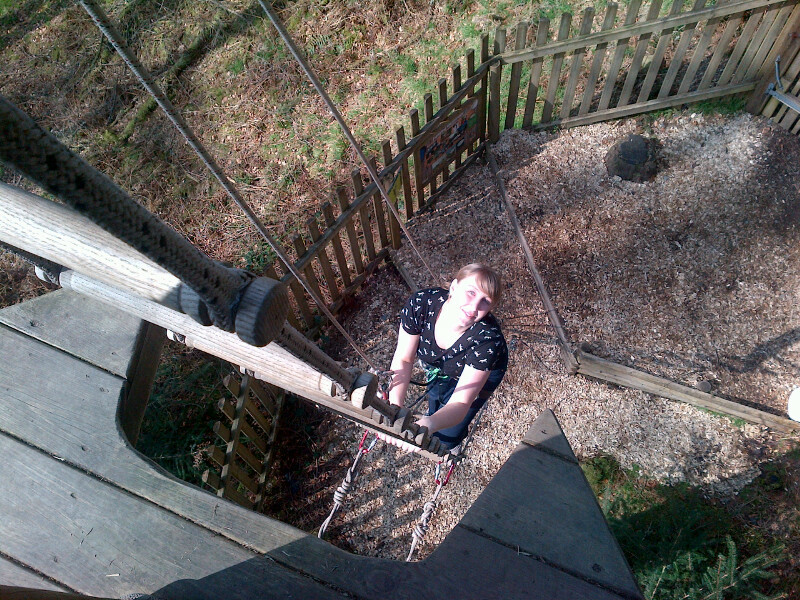 There's zip wires to cross, tarzan swings to navigate, a wide variety of different crossings to pass, which can be quite a challenge btw, and all the while you're doing this on your own. The weather was gorgeous and we couldn't have picked a better day for our trip but what a struggle we had finding the place! 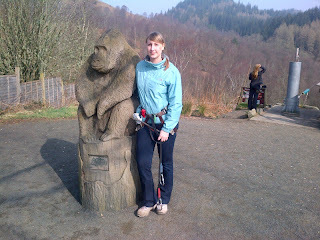 I have to say that sign posts for Go Ape in Aberfoyle are like gold dust. 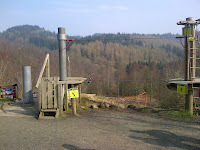 The only sign post we found was when we actually turned into the Go Ape car park! The directions on the Go Ape website aren't too bad telling you to follow the signs for Callander but after that the trail goes a bit blank. We ended up taking a gamble and following a path towards Aberfoyle and stopped off at a small café to ask for directions. Luckily we were on the right road and got there in the end but signage could definitely be improved, especially since your sat nav is likely to fail due to the rural nature of the site. On arrival we parked the car and paid a £3 ticket to have the car parked all day, you can choose to pay £1 instead to park the car for an hour but since your Go Ape experience can take from 2-3 hours I'd suggest the all day ticket. 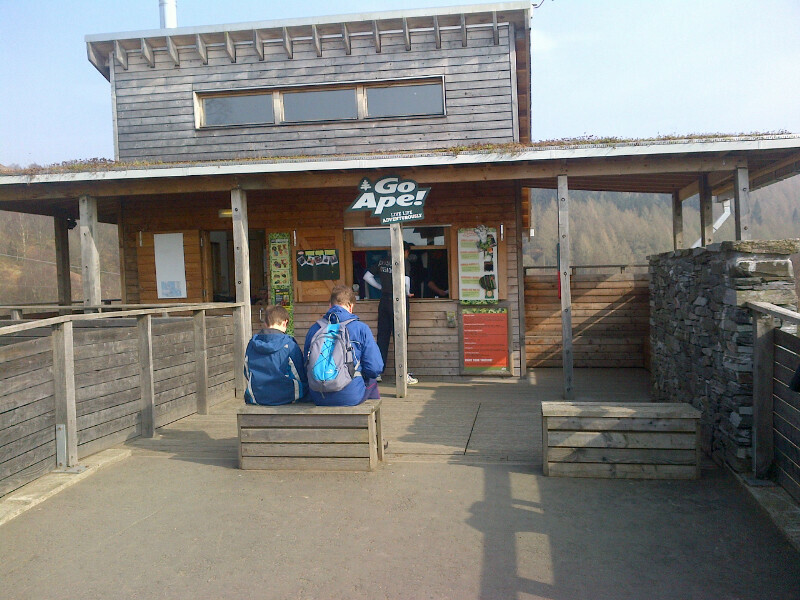 We headed up to the Go Ape hut where we were greeted by a very friendly gentleman who gave us a couple of forms to fill in and read. All very health and safety conscious which is great for such an activity. I'm happy to say there are toilet facilities near by if needed and also a café etc if you get peckish. You're kitted out with a harness and given a safety briefing from one of the instructors before you get to head out into the wild. 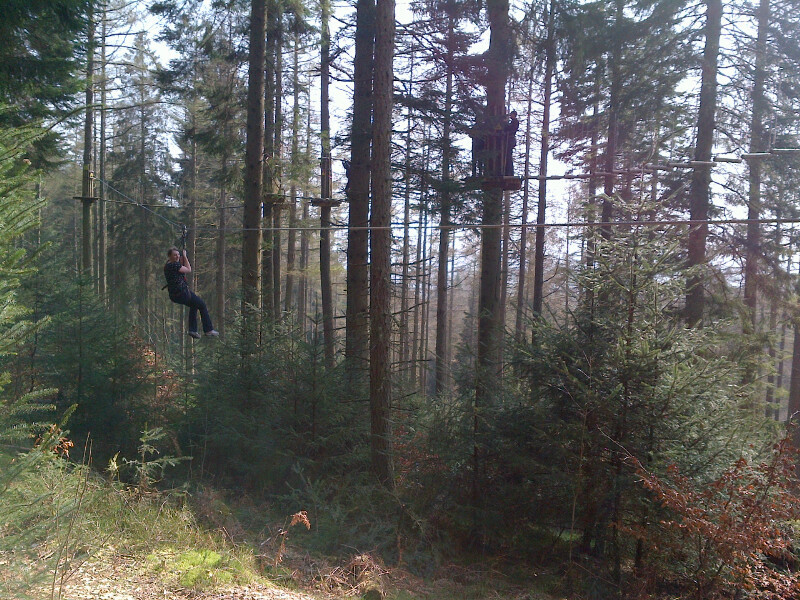 Andy was our lovely instructor in Aberfoyle for the day who showed us how to properly connect our safety equipment to each line when up in the trees. The instructors often have to give this safety briefing to around 14 people at a time all of whom are part of different groups and as you can imagine this does take a little while. The first task you are presented with is a massive zip wire, and that's only to get you across the trees and to the climbing course on the other side. 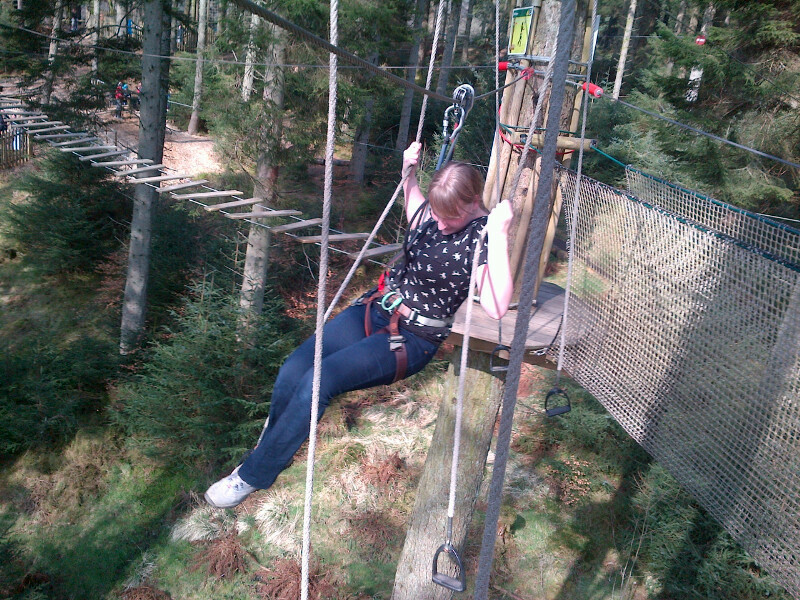 There are two zip wires to contend with here, one to get you across and one to get you back. Both are two of the longest in Britain at over 400m long and flying customers 150 feet above ground. Now I'm not scared of heights but to say I was a little uneasy about the zip wire would be fair. They just looked so daunting and your body is screaming at you not to jump even though you know fine well you're attached safely to the wire. 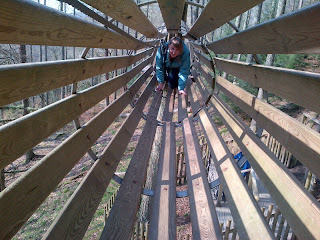 It was a thrilling experience though and I would do it again. I'd have to anyway to get back across. Now it's quite hard to explain the rest of the course so I'll just show you some photos. 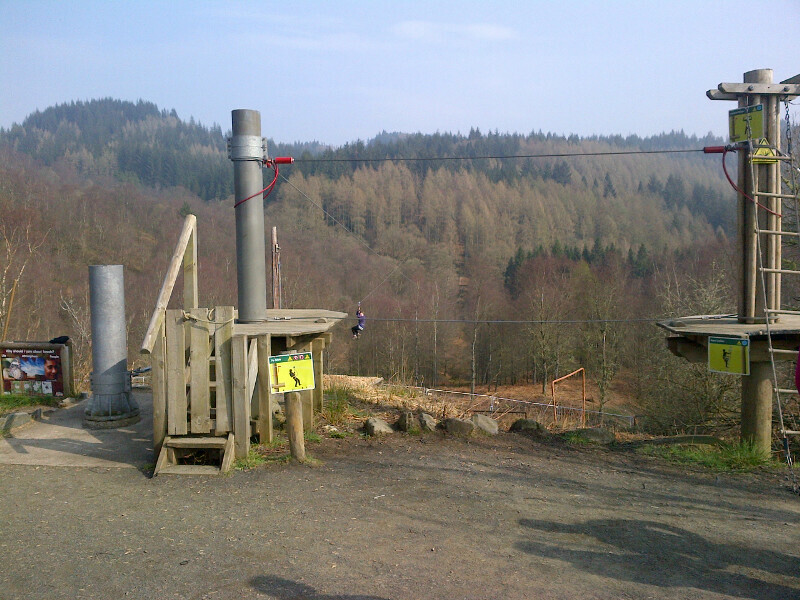 The course is well sign posted though and takes you round nicely to the end and across the other zip wire home. Very well thought out and really enjoyable. As you can see I started out the course in my jacket but half way through I was sweating buckets so the lovely Andy (our instructor) was luckily on hand to take our jackets back across to the hut for us which was very kind of him. I don't think this normally happens, we're just lucky Andy was in the right place at the right time. Now down to the nitty gritty. It costs £30 per adult (18 years +) to go through the Go Ape course and £20 per child/ youth (10-17 years). All children/ youths must be accompanied by and adult (18 years +) and that adult takes all responsibilty for the young persons safety out on the course. That means checking their safety equipment i.e. making sure they are securely attached to each line before they take off. This is ofcourse very sensible and something I would recommend you do as you are quite high up in the streets. 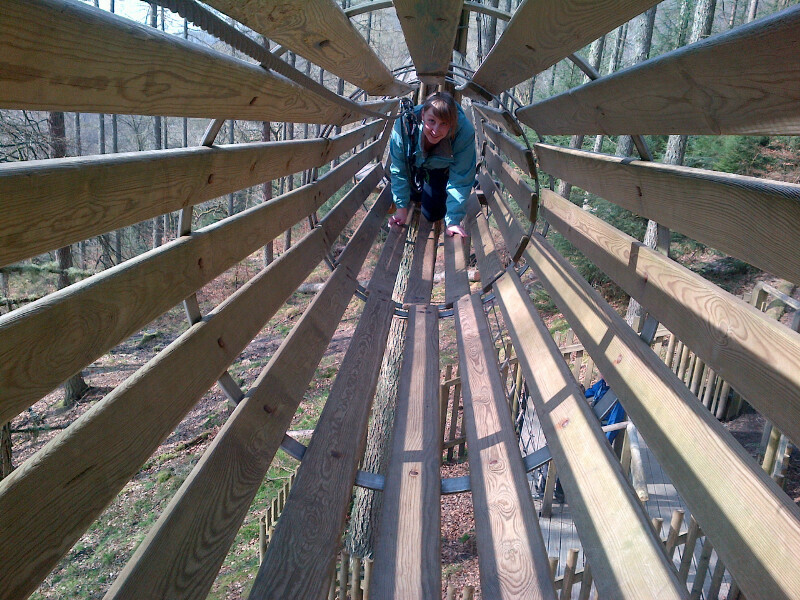 If you fall, you'll definitely do some damage so safety first! 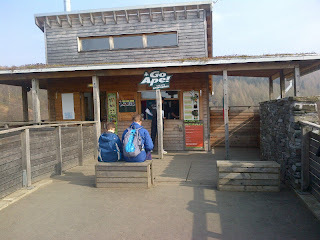 As well as the Go Ape Tree Top Adventure, Go Ape also offer Biking and Segway experiences as well as Junior Tree Top Adventures for the younger generation if you prefer. They have 27 sites across the UK so I'm sure there's one near you. Overall a brilliant day. The instructors and staff are very friendly, always happy to help with anything. Safety was key and always explained well. I was assured that anyone who wants to undertake the course has to do the safety training at the start no matter how many times you've been, even the instructors have to do it! 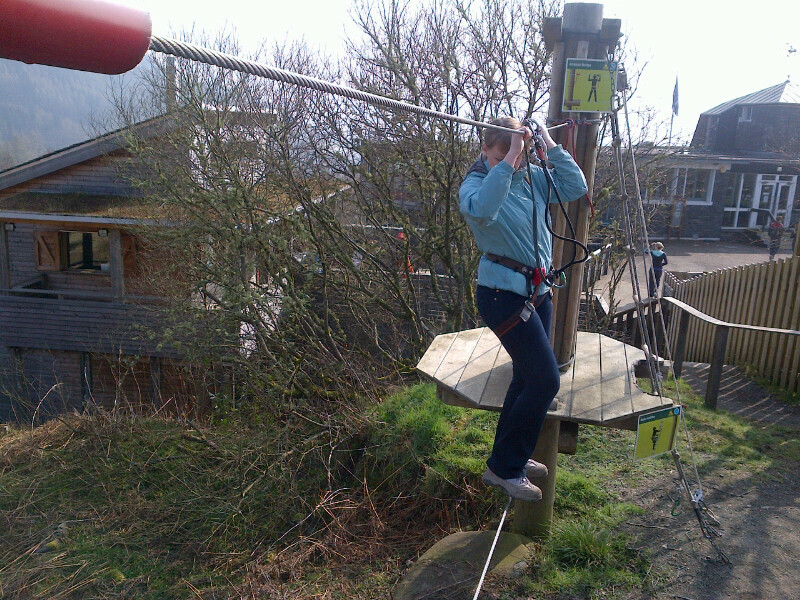 Pricing is fair and in line with most outdoor activity centres these days. We really had such a great time and would highly recommend it to all. Please visit www.goape.co.uk for more information. 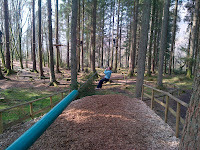 You can also see what Go Ape get up to on Facebook and Twitter so why not pop over and say hello! Remember to tell them The Breastest News senrt you.